How Does Seven Mountains Differ from Other Writer Conferences? In several fundamental ways. First of all, the emphasis is not simply on hawking the ms, but on beginning the novel or working to improve the novel-in-progress. Second, the percentage of actual workshop time is far higher. Students spend an average of seven hours per day in workshops that address all the major conflict/complication, plot, theme, narrative/voice, dialogue, scene construction, and character arc-and-development issues. Third, students are prepped in advance for their interactive pitch sessions with literary agents; and the sessions are not rushed, the agents relaxed during the sessions and not bombarded by a hundred or more conference goers. Fourth, all interactions with faculty (including agents) are generally informal. This is because our workshops are limited to 15 students total. Fifth, Algonkian Writer Conferences require the student to complete writing exercises far more advanced and beneficial than those conducted at other conference workshops. In addition, amateur opinions do not factor in. Judgments on the writer's work are approved, filtered, and/or provided by a professional fiction editor. We believe this to be extremely important. Sixth, the goal of Algonkian is to get student manuscripts published in mainstream markets, and in keeping with that goal, we work with our students once the conference is over, following up and arranging for editorial assistance and agent connections as appropriate. Because Seven Mountains accepts fewer writers than most conferences, those writers who are accepted are given more time to establish relationships with editors and agents present; and unlike several major celeb conferences, Seven Mountains doesn't simply import name writers to give "inspirational messages" and smile over cocktails. Our prize-winning faculty meet with students in an intimate setting to discuss writing and publishing. Writers with manuscripts will have an opportunity to pitch their work, and writers with works-in-progress will be able to network and learn about the publishing biz. To read more information about our "Algonkian" approach, click on Frequently Asked Questions. Located in Colrain, MA--a country town reminiscent of villages in Ireland--the Round House is close to the Connecticut River and the Vermont border, and only three hours from NYC & two from Boston. The main building, one of the most unique human dwellings on this planet, sits on a hill overlooking 2 river valleys off to the East. Truly magical both inside and out, the Round House is a four story building of 14 sides with over a dozen decks, sparkled by stained glass windows and a domed center with a cupola on top. Inside, it appears as if an inspired Hobbit were the architect: open common rooms circled by lots of secret hiding places and charming cubbies. From the grand central meeting room on the first floor, other rooms radiate for cozier meeting spots: the library, kitchen, dining and sun rooms, a music room and lounge. There is also a well-stocked library, abundant theatrical toys (costumes, hats...), musical instruments including percussion and string instruments, a piano and organ, and the inner structure is acoustically impressive. Peripheral structures include a potter's studio, a five bed cottage, a green house, barn houses for llamas, an outdoor wood-heated bread/pizza oven, and a cedar-lined sauna. Whitewater rafting, country villages, golf courses, and many other recreational facilities are located within a few minutes of driving. The phone number at the Round House is (413) 624-5140 and the email is info@roundhouseculture.com Please note that Seven Mountains will make all reservations and arrangements for conference participants. 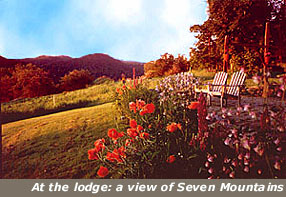 The Seven Mountains Conference is a small-group, workshop intensive event for serious writers of all genres who wish to either begin the novel, work towards perfecting their novel-in-progress, (while also learning to write short fiction), or focus on their poetic craft while revising toward publication. The Seven Mountains Writer Conference will provide not only the ideal location, but a perfect mix of professional and experienced faculty dedicated to teaching writers the pragmatic craft and market skills they need to be successful. The Seven Mountains resident and visiting fiction faculty include literary agent Peter Rubie of The Peter Rubie Agency; creative writing teacher and Hemingway winner, Susanne Davis; literary agent Eve Bridburg from Zachary Shuster Harmsworth in Boston; literary agent Tina Wexler from ICM; and fiction editor and creator of WebdelSol.Com, Michael Neff. Resident and visiting poetry faculty include poet, editor and critic Joan Houlihan and Massachusetts Review editor and award-winning author, Ellen Dore Watson. More on them below. The syllabus for the novel/fiction and poetry shops can be found here. Tina Dubois Wexler is actively list building at ICM. Her tastes are eclectic--most types of fiction, nonfiction, and even YA. Recent sales include the first two books in Susan Runholt's mystery series, THE MYSTERY OF THE THIRD LUCRETIA and RESCUING SENECA CRANE (Viking), and commercial fiction sales including Donna Gephart's AS IF BEING 12 � ISN'T BAD ENOUGH (Delacorte), Robin Friedman's THE GIRLFRIEND PROJECT (Walker), Sanjay Patel's THE LITTLE BOOK OF HINDU DEITIES (Plume), and many more. Prior to joining ICM over three years ago she worked at the Ellen Levine Literary Agency, Trident Media, and the Karpfinger Agency. She earned an MFA before becoming an agent. Peter is the President of Peter Rubie Literary Agency. Prior to becoming an agent, he was a book doctor for such publishers as Doubleday, Simon & Schuster, Random House and others, the fiction editor for Walker & Co., a reviewer for Publishers Weekly, a broadcast journalist (BBC Radio News; ITN News), and a print journalist (Fleet Street, London). He represents narrative non-fiction, crime novels, thrillers, science fiction/fantasy, as well as literary novels and children's fiction. Peter has written two novels himself, and his nonfiction book, THE ELEMENTS OF STORYTELLING is known for being one of the best in the business. Novels currently represented by his agency include THE LAND OF ELYON, by Patrick Carman (Scholastic); THE THIEF AND THE BEANSTALK, by Paul Catanese (Simon&Schuster); ESCAPE CLAUSE, by James Born (Putnam); TOWARD RATIONAL EXHUBERANCE, by B. Mark Smith (Farrar, Straus); and THE GLASS HARMONICA, by Louise Marley (Ace). Eve is Boston's foremost creative writing guru, now a literary agent at Zachary Shuster Harmsworth agency and actively seeking new works of literary fiction, memoir, biography and creative nonfiction. Recent fiction sales by ZSH and Eve include include Jon Keller's THE BLUEST STATE, BREAD AND DREAMS by Jonatha Ceely (Bantam), CI an army counterintelligence series by David DeBatto and Pete Nelson (Warner), CRABS IN A BARREL by Byron Harmon (Agate Publishing), DYING LIGHT AND OTHER STORIES by Donald Hays (McAdam/Cage), HOUSE OF MANY GODS by Kiana Davenport (Ballantine), MY LIFE ON MARS by Alicia Metcalf Miller (Plume), and THE WINTER CHAMBER by Alisa Libby (Dutton Children�s Books). Eve is also the founder of Grub Street Writers, Boston's only independent writing center. 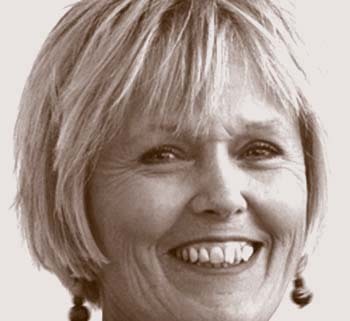 Joan Houlihan, editor-in-chief of the poetry magazine Perihelion, is well known for her series of critical essays on contemporary poetry ("Boston Comment"). She is author of "Hand-Held Executions, Poems & Essays" and her collection of poems, "The Mending Worm," winner of the Green Rose Award for a second book from New Issues Press. Her poems and reviews appear, or are forthcoming in: The Gettysburg Review, Harvard Review, Gulf Coast, Poetry International, Marlboro Review, Passages North, Pleiades, and Boston Review. Ms. Houlihan is director of the Concord Poetry Center in Concord, Massachusetts. Michael Neff is the creator and director of WebdelSol.Com, the largest publisher of periodical contemporary fiction in the U.S. He is the chief editor of the Del Sol Press and he publishes several highly acclaimed national literary magazines including In Posse Review, La Petite Zine, and The Potomac. He also edits the "Paris Review of the Internet," Del Sol Review, often publishing exceptional Algonkian students. His own work has appeared in such classic literary publications as The Literary Review, North American Review, Mudlark, Quarterly West, Pittsburgh Quarterly, Conjunctions, and American Way Magazine. He has served as a fiction judge in various competitions, and was finalist judge for the Writer's Digest landmark 2001 fiction competition. Ellen Dore Watson is the Director of the Poetry Center at Smith College, poetry editor of The Massachusetts Review, and a member of the editorial board of Alice James Books. Author of four books of poems, most recently THIS SHARPENING, from Tupelo Press and LADDER MUSIC, winner of the New England/New York Award from Alice James, Watson's work has appeared widely in literary journals, including The American Poetry Review, Tin House, and The New Yorker. Among her honors are a Massachusetts Cultural Council Artists Grant, a Rona Jaffe Writers Award, and a National Endowment for the Arts Translation Fellowship. In addition to teaching at Smith College, she has for many years led a generative writing group and offered private manuscript consultations. Susanne Davis's short fiction has been published in numerous journals, including American Short Fiction, Notre Dame Review, descant, Feminist Studies, Carve and others. Her short stories have won honors and distinctions including second place American Short Fiction Prize, finalist Reynolds Price Short Fiction Award, short-listed for Carver Award and distinguished story in Best American Short Stories series. Her first novel, LAY ME DOWN TO SLEEP, won the Hemingway First Novel Award and her second novel, GRAVITY HILL, is currently under consideration for publication. She teaches creative writing at the University of Connecticut and directs the Study Abroad writing program in St. Petersburg, Russia.